Use an RSS Feed Reader such as Google Reader to connect to the village RSS feed. Sign up to receive updates by email whenever a new article is posted. The last of these is the easiest way to keep informed. 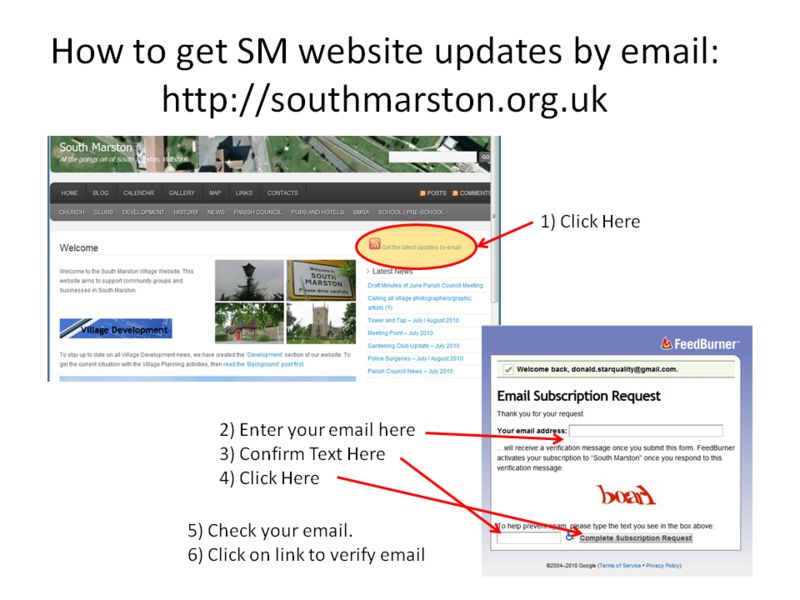 You will only receive an email when a new article is posted to the website. If more than one article is posted in a day, then the email will summarise all of the articles, so your inbox will not get flooded with updates. Should you decide that you no longer wish to receive email updates, then you can unsubscribe at any time, simply by clicking on a link provided in the email. So how can you receive email updates? I’m glad that you asked. Follow the instructions on the guide shown below. If you have any problems then email the webmaster.